One of the greatest things about the New Order is trust. You can trust the New Order, and you can trust our Agents. Bot-aspirant carebears, on the other hand, cannot be trusted to do anything good or worthwhile. No wonder we're winning hearts and minds. 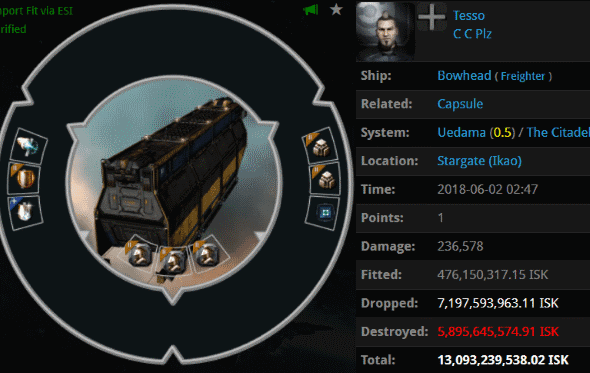 The name of Tesso's corp, C C Plz, says a lot: Carebears begged CCP to give them more hitpoints and fitting options for their haulers. CCP spent its precious (and limited) time and resources to give the carebears what they wanted. 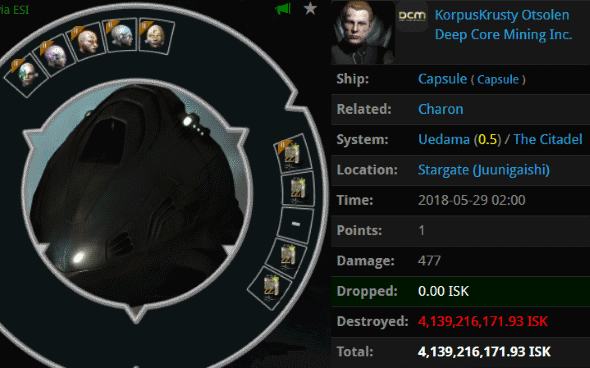 The carebears repaid CCP with ingratitude and a bunch of lossmails like Tesso's. I mean, look at this guy. He lost his Bowhead in Uedama. What a cliché. Agents Trump The King, Ruby Rozei, Giselle Rozei, Sherri Rozei, Shanade Rozei, Christine Rozei, Ivanka Rozei, Katy Rozei, Lagatha Rozei, Baron Rozei, Justin Kustion, Jason Kusion, Jayson Kusion, Tawny Rozei, Jake Kusion, Johnathan Kusion, Jeremiah Kusion, Joseph Kusion, Joshua Kusion, Jackson Kusion, Joel Kusion, Jayden Kusion, Josh Kusion, Jacob Kusion, Jeremy Kusion, Jonas Kusion, Jeffery Kusion, Josiah Kusion, Jack Kusion, Jimmy Kusion, Jessie Kusion, holdmybeer, and Lobo El Lobo showed everyone what the Kusion and Rozei families are made of. I believe, strongly, in the freedom of EVE's PvP sandbox. However, Mr Turtle's Talos fit should be bannable. Agent Guybertini shot the anti-tanked mining Talos on sight. Imagine using a gank ship like the Talos in this way. The only thing worse would be a mining Catalyst. What is with these miners? Dimitrie Vasajeff reminded everyone why the Code is absolutely necessary. 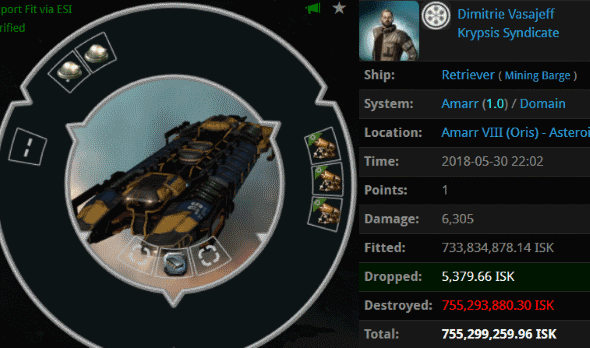 Dimitrie had a Retriever worth 755 million isk (with no midslot module--not even a Civilian Shield Booster) mining in Amarr. Agents Votre Dieu, Astrid Tyrfing, Narl' Amhar, and Rungerd saw this crime going on and put a stop to it. 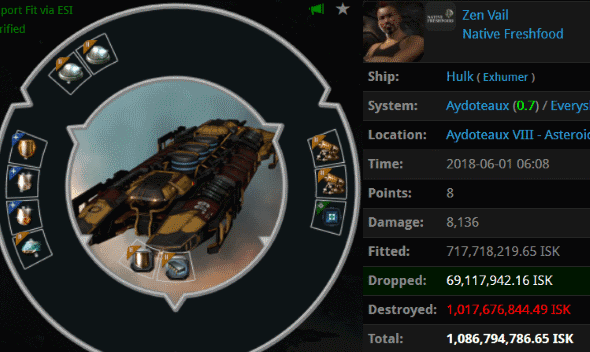 Zen Vail blinged up his Hulk to a billion isk, only to be humbled by Agents Bounty's Rage Caller, Bounty's Salt Eater, and Bounty's Tear Drinker. Did Anti-Ganking spread another rumor about the Code dying? The nerve of these miners to go around in public like this. Frank vanWulfen wasn't AFK autopiloting through Uedama. No, he consciously rode into battle, expecting to easily defeat his opponent in PvP. He had great confidence in his billion isk Nestor-class battleship. What he lacked, however, was the Code. Without it, he couldn't beat a mining ship. Agent Krig Povelli killed the battleship with an Orca. I guess solo PvP isn't dead, though Frank's Nestor certainly is. 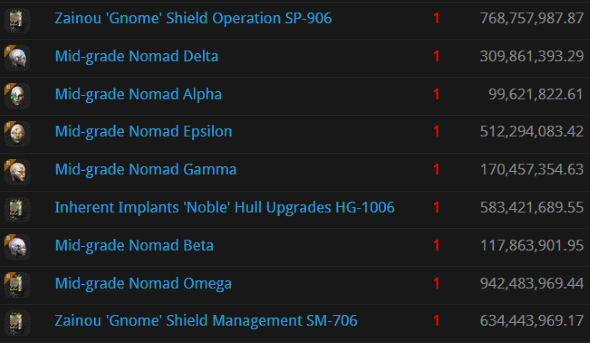 KorpusKrusty Otsolen managed to lose 4.1 billion isk worth of implants, in highsec, in an insta-warping pod. 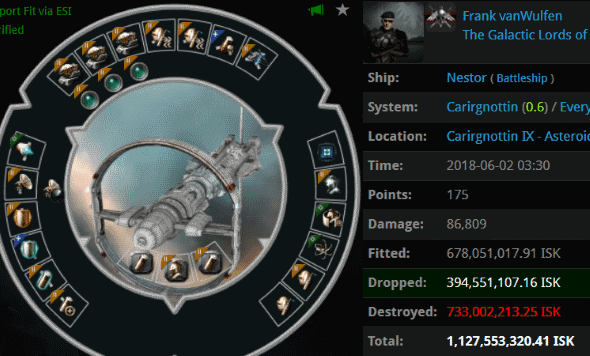 Agent Turkey Baster caught the bot-aspirant after the destruction of his 4.8 billion isk freighter. KorpusKrusty was undoubtedly AFK at the time, so I guess he'll have to check his lossmails to find out exactly what happened. Tank implants. It's nice to have extra hitpoints, though what this carebear really needed was the Code. Try it, carebears. We don't even charge you 4 billion isk to read it. I loled! Then loled some more. That Nestor pilot should have bought a permit before trying to operate in James' space. wow. just wow. antigankers are failing so hard right now. Indeed, That is a new "meme" and propaganda screed loyalanon has been using lately. In Local one day, before I blocked him. [ 2018.04.11 01:11:13 ] ThomasStealsAG's Donations > Thomas en Chasteaux why dont you answer? [ 2018.04.11 01:11:21 ] ThomasStealsAG's Donations > and explain what you did with 100bil of donations? Since Jan 2014, the HSM has received 140+ B in ISK donations from 76 donors, over a span of 114 separate donations. I haven't kept track of ship donation amounts. 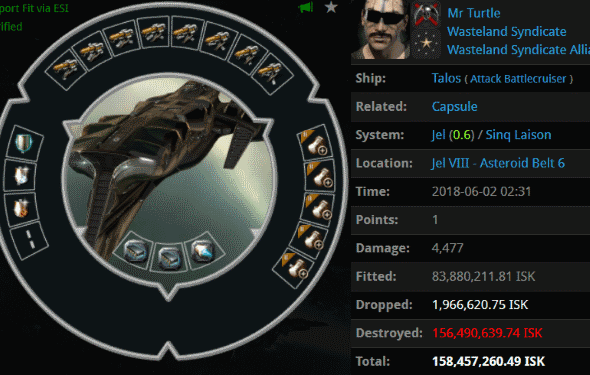 The "2 Bil for Jita" Loyal's Alt incorrectly references above is probably the 15 Guardians that he caught wind of that I mentioned in a mail here, and maybe, maybe mentioned in AG, that I had hoped to hand out. Those were from a much earlier "I'm quitting EVE, Take my Stuff" donation, not specifically for Burn Jita. 15 guardians fitted - 2-3bil tops. where did the rest of it go??? I still can't figure out why you give the binscabs anything that is not in a blue box.